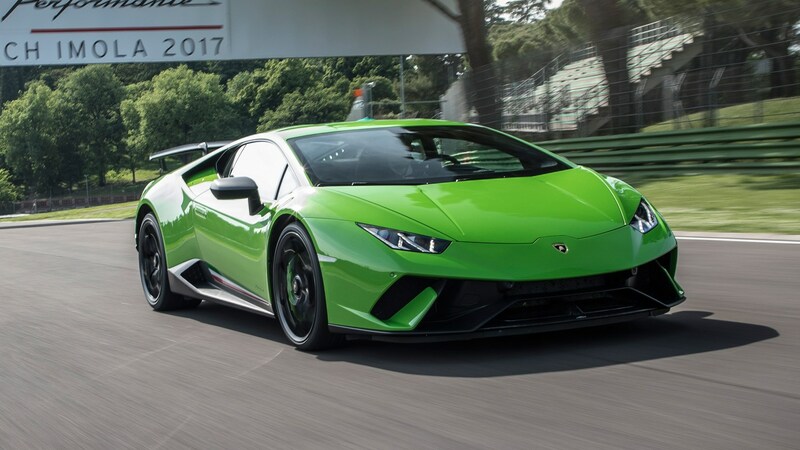 The name of the new Lamborghini Huracan Performante makes it sound as if the standard Huracan isn't 'performante', which it most certainly is. But this latest iteration is more 'performante' still. It gets this name rather than Superleggera because the focus was on being 'performante' rather than lightweighting: almost every aspect of the car has been reworked, but mass is only down 40kgs. Actually, the focus was on destroying the Nordschliefe production car record, which the Performante did with a 6m52sec lap. But the requirements of the 'Ring have left us with a car that is both dazzling on the track and usable on the road. It retains its naturally-aspirated V10, of course, but also its all-wheel drive, as that's what Chief Engineer Maurizio Reggiano gauged would be best for the 'Ring attempt. So not only do we get the best Huracan yet, but the atmo engine and all-paw grip give this car a real point of difference to rear-driven track-focussed specials from the rivals. 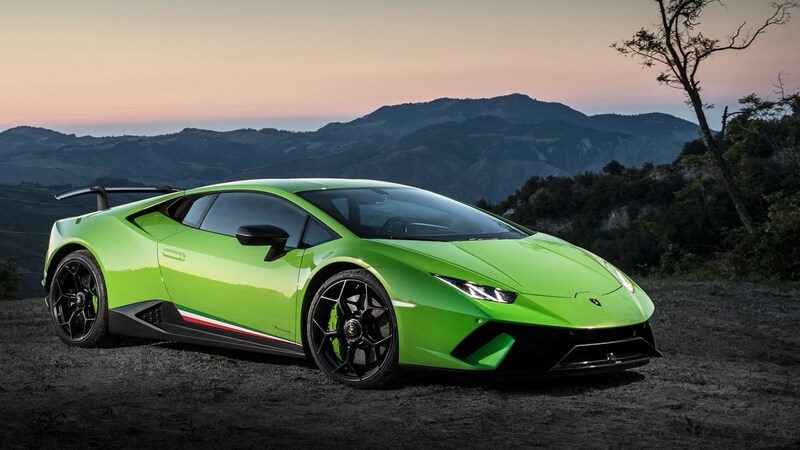 What separates the Performante from a regular Lamborghini Huracan? The top end of the engine has been heavily reworked, including the intake system from the Super Trofeo race cars and a new exhaust which cuts back-pressure, saves 10kgs on its own, and sounds like death metal. Power is up, from 602bhp to 631bhp. Lambo claims 2.9sec for the 62mph sprint but the standard car has been independently clocked faster than that. The entire chassis has been revised, starting with stickier, bespoke P-Zero Corsas: the Trofeos on which the record were set are an option. The bushing is 50 per cent stiffer to cope with the higher forces. 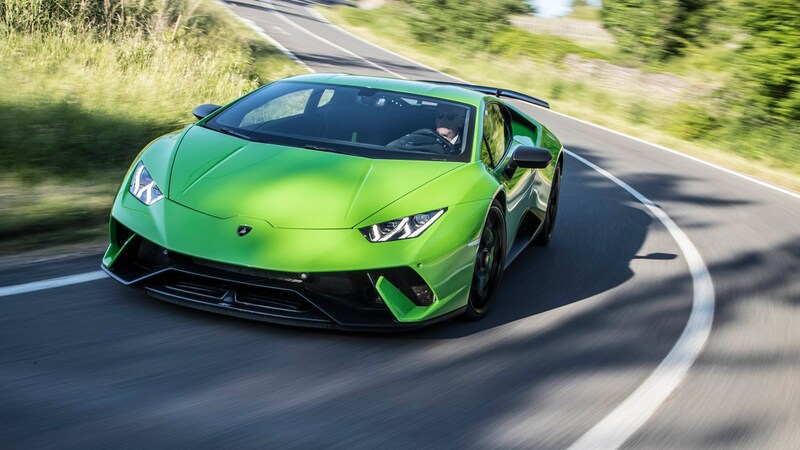 Roll stiffness is up 15 per cent but vertical stiffness only 10 per cent to cope with the surface of the Nordschliefe, and this helps to maintain the standard Huracan's relatively compliant behaviour on public roads. But the big news is the ALA system, for Aerodinamica Lamborghini Attiva. Active aero isn't new, and there's a fairly standard flap operated by electric motors in the front to help quell understeer. But active elements in the rear bodywork can alter the airflow over either end of the forged carbon rear wing independently, loading the inside rear wheel for higher corner speeds and greater traction out of them. Can you feel the ALA in action? In truth, it's hard to pick out the effect of the trick aero amidst all the other improvements. The Performante just feels harder, faster, louder and more exciting, yet still in balance. My only real gripe with the standard car is its understeer and slightly wooden steering, both of which seem to have been cured. You go though Imola's quicker corners and complexes like Acque Minerale and Tamburello constantly thinking you could have gone quicker still. The combination of all-wheel drive, the new rubber and the general sharpening deliver eerily unstressed progress almost regardless of entry speed, yet without diminishing the excitement. The brakes remain extraordinary. And at the risk of sounding like a Luddite, an atmo engine is just better to drive: there's more justification (and therefore satisfaction) for running it near to the redline every time, even if 70 per cent of the 441lb ft is available from 1000rpm. You feel the same improvements on the road, with little compromise to ride quality in the most compliant 'strada' drive mode, at least. This last point seals the deal. The odd economics of supercar buying mean that if you can afford £180,000 for a LP610-4, you can afford £215,000 for the Performante. This is now the Huracan to have. Is Lambo's long-awaited Gallardo replacement good enough?